Very Good. 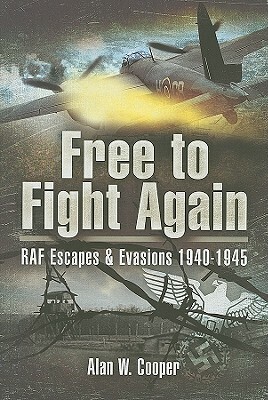 Free to Fight Again: RAF Escapes and Evasions 1940-1945 by Alan W. Cooper, 2009-03-19. Sewn binding. Cloth over boards. With dust jacket. 335 p. Contains: Unspecified. Fine. History. 1st large edition paperback fine condition In stock shipped from our UK warehouse. Vg++/vg++ History. 1st William Kimber1988 edition hardcover book vg++ condition in vg++ condition dw In stock shipped from our UK warehouse.